A must-have jacket that speaks fashion and functionality. 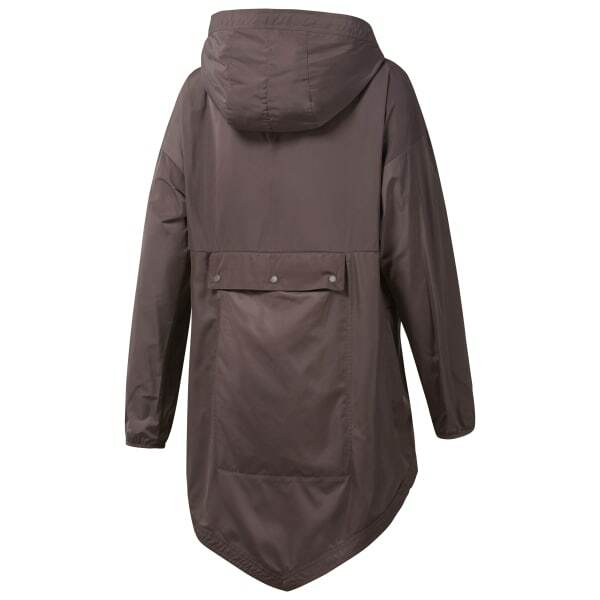 This packable woven parka ingeniously transforms into a gym sack within a matter of seconds. The jacket can be folded small enough to fit into the back pocket of the piece, converting into a gym sack with elastic straps. The longer length woven parka is styled with stitched design details at back panels, front panels and hood opening as well as a shaped hem.